The “Where is baby?” incident with our Saudi transit visas cost us an hour on arrival. Finding the Hertz office at Riyadh Airport took nearly as long, no one seemed to know and signs for rental cars pointed in opposite directions. Eventually we realized Hertz was in the parking lot of a different terminal. Hubris lead me to attempt to drive in Saudi Arabia despite all warnings to the contrary. Jetlagged from flying Shanghai-Tokyo-New York-Riyadh I attempted to follow my Google Maps printout to the Riyadh Marriott on the eastern side of downtown. 45 minutes later I was speeding west toward Mecca leaving Riyadh behind. You can always find a sign to Mecca or the airport, downtown is another matter. The road network is similar to other Gulf States with unforgiving distances between roundabouts. The planned forty-minute journey, with many frustrating steering wheel poundings and failed askings of directions, finally ended at the hotel in two and a quarter hours. We slept until hunger roused us. We could have eaten at the hotel. Expensive but easy. Nope, I had to have a local experience. I got another hour-plus of exasperating driving with missed turns, construction detours, near crashes, and at one point following another car in reverse down an expressway exit ramp. Perhaps I should invest in a GPS. My wife’s patience at an end we found our restaurant, snugly out of business. We ate at the nearest open cafe in their family section. The young male waiter fawned on female customers. Even after just a few hours, seeing a group of Filipino women in the supermarket with abaya (required) but no headscarf (not required) was a bit startling. Only at relative coolness of night did we see people out and about, so the extreme difference of the culture was not felt so much as later in Jeddah. “No more driving,” were her only words on the ride back. I couldn’t leave without seeing something more than the rear end of other cars, so with sunrise I slipped out to the already blazing heat and headed for one of Saudi Arabia’s two UNESCO sites, At-Turaif District in ad-Dir’iyah, home of the House of Saud. I was rested and getting hang of the roads, passing King Abdullah Financial District on the well-signed roads to the historic site. Nothing was happening at the visitor center except disinterested tea drinking, nothing was signed in English, and they clearly were not expecting tourists, so I am not quite sure what I saw, but I did see lots of buildings getting extensive restoration. More critically I found a gas station and filled up at US$0.12/liter. No wonder the guys back at Hertz shrugged when I pointed out they only gave me half a tank. At 8:30 am on the return the city was already traffic-jammed. I thanked my lucky stars to be back in one piece to pick up my wife and we set out for the airport, finding only KFC open for early lunch, and did rushed drive-bys of the iconic Al-Faisaliah Tower and Kingdom Tower. Otherwise, and excepting the massive developments and universities out on the airport road, Riyadh is rather dumpy, ground to dull blandness by sun and sand. I’m looking at doing a similar trip myself with the same 24-hour transit stopover and the visit to Al-Diriyah. Is it possible to do this trip without hiring a car? I’ll be traveling alone. @Wilson – there are plenty of taxis so chartering one for the trip should not be a problem, it is just a suburb of Riyadh, though best to go outside peak rush hours due to traffic gridlock in the city. Did not see any evidence of public transport. Good luck with the visa and trip. @Joey – as I understand that is only on Fridays and greatly reduced. Either way, I would not go to gawk. @Lively – she is always suspicious when I start using the word “trooper.” She takes some crazy things in stride, with creative protest. Loved the post! Your wife sounds like a trooper. Due to sensitivity of the topic I understand why one wouldn’t take photos but did you both go to Deera Square and witness one of many public executions/beheadings in Riyadh? Great report, thank you for sharing! Very cool report. I will post my TR of Saudi as I was lucky enuff to go to Mecca and Madinah. Surprisingly, I found the airport at Jeddah not so great. For a country with so much money, you would think they wouldve built a nice airport in Jeddah…but the airport at Subang in KL was wayy better. @Ozaer N. – I am looking forward to it! I agree, Jeddah Airport is a dump, Riyadh was a bit better, I had the same feeling throughout my visit, how could a place so wealthy be so dumpy? Awesome pics and thank you for sharing your experience with us! How would you compare Riyadh with Jeddah? I don’t know much about Jeddah other than it’s like a beach resort? Does that mean in the beach all the women wear burqini? 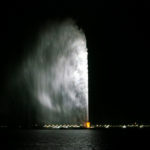 @Joey – I will post about Jeddah next, the old town of Jeddah is really cool, by far the highlight of the trip. We did not make it to the beaches. For heaven’s sake, put the OsmAnd app on your GSP integrated Android phone and download the appropriate map. @flyingfurther – I have never come across this, looks awesome, thanks so much for the suggestion. I have played with Google Offline Maps but they are clunky and no navigation. Very cool. Jeddah is better, no? @Matthew – Jeddah old town much cooler. If you are so stoked on Saudi Arabia you should just join the Air force and see it for free while being paid………..personally, I don’t like sand in my boots………. @JollyBrown – can’t say that I am stoked. I wanted to go out of curiosity. Would not be in a hurry to go back. I have a new-found appreciation of what our armed services deal with over there. @ABC – not on my dime. Very nice pictures. Nothing is worse than getting lost in a foreign place/country. So frustrating at times.